How did Spiro become “Spedo”? He believed his name to be “sissified” so he claimed the nickname himself and has kept it ever since. 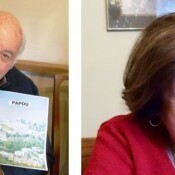 At 88 years of age, Spedo’s recall of places and dates is amazing as he recounts numerous interactions with Greeks in Tacoma, in Gig Harbor, in Everett, in Seattle, but mostly in Bellingham. He also remembers visiting Seattle as a young man and going from restaurant to restaurant calling on the Greek owners he knew. Spedo’s father, Thanasis (Tom), was born in 1887 in Alpohorian, Greece, came to the United States in 1912 and set up a shoe shine stand in downtown Seattle. He returned to Greece where he was conscripted in World War I. Spedo’s mother, Panagiota Tsoris was born in 1891 in Pantayou, Greece, and married Thanasis in 1916. He returned to the States alone in 1918. 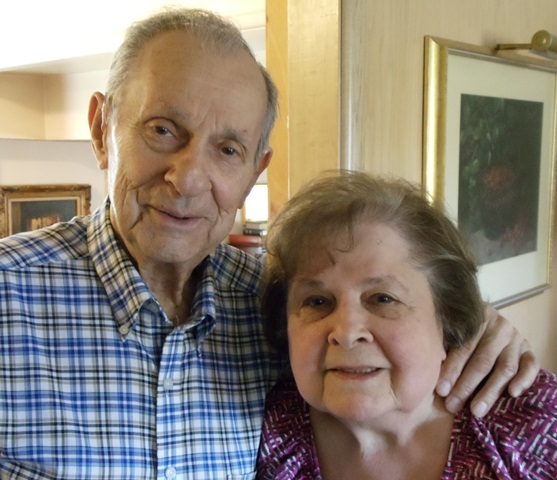 Panagiota came a year later and travelled from New York to Everett speaking almost no English. 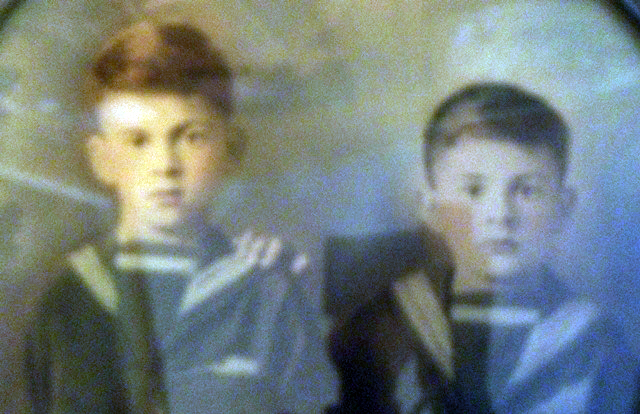 The family lived in Everett where Spedo was born in 1923, two years after his brother Pete. His father opened a four-chair shoe shine shop in the Walsh Building lobby and did janitorial work in the building as well. Shines cost ten cents. Spedo and his brother would do the heavy cleaning of the shoes while their father provided the finishing touches. Spedo remembers all the businessmen and dignitaries that were his father’s customers. He also recalls delivering papers and selling magazines as a young boy, even getting good tips from residents of houses of ill repute. Spedo grew up playing baseball. In 1941, after high school graduation, he was hired for $130 per month to play for the Seattle Rainiers farm club as a catcher in Twin Falls, Idaho. His baseball prowess also landed him a job with the Boeing Company in south Seattle where he played some ball for the company team and often slept in the paint shop rather than return to Everett. 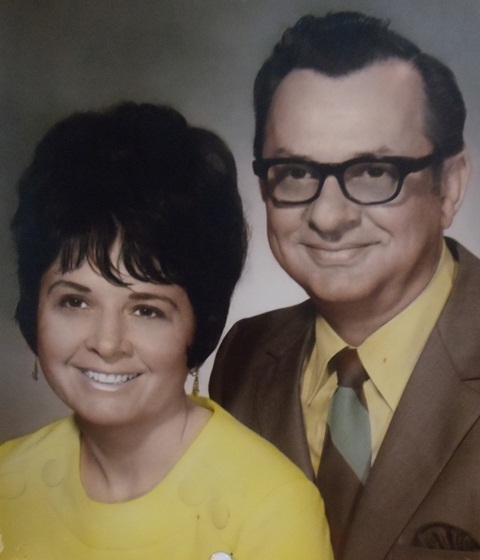 Hesubsequently worked at Paine Field in Everett before joining the United States Marine Corps in 1942. Following boot camp at Camp Pendleton in San Diego, California, and additional training at Balboa Park, he was recruited to play baseball for the Marine Corps team. That lasted for three years until he was “beaned” (hit in the head with a baseball). He was treated at Corona Naval Hospital for a month and a half. 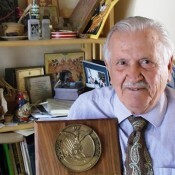 When World War II ended and he had recovered, Spedo was sent to Riverside, California, where he served in the Military Police to keep the service men in line when they drank too much. This duty lasted only four days after which the doctor at Corona Hospital said, “Since the war is over and you are getting better would you like to go home?” Spedo replied “You bet.” He was discharged and returned to Everett in 1945. Again seeking to further his baseball career, he joined the Oakland Acorns catching in the bull pen. After three months the side effects of the head injury ended his baseball playing career. Once in Bellingham Spedo coached baseball sponsored by the American Legion for 10 years. 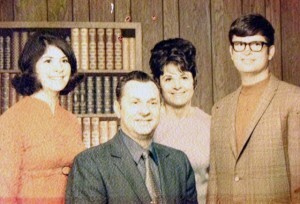 He and several others raised $10,000 by buying shares at $50 each and, in 1974, started the Bellingham Dodgers farm team. 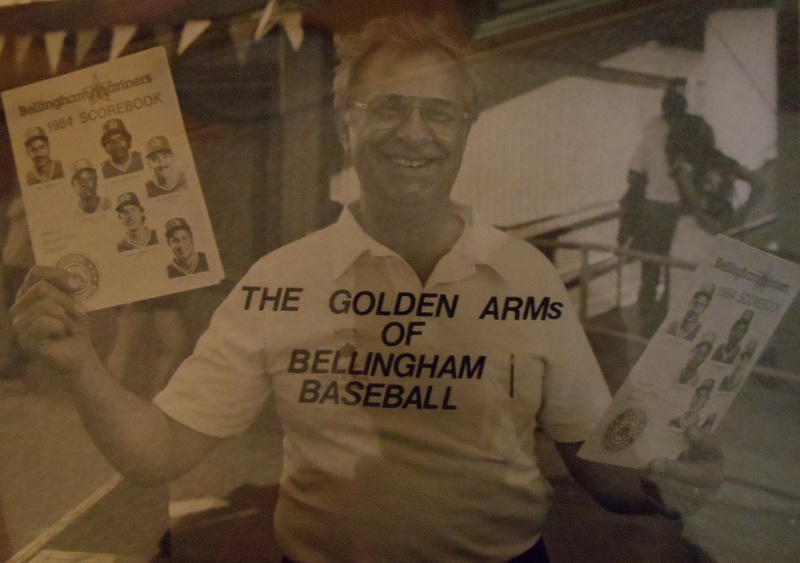 In 1977, when the Seattle Mariners major league franchise began, the Dodgers name was dropped and the Bellingham club became the Mariners’ first farm team. Spedo retired as general manager in 1986 when Bellingham won the championship but he remained on the board until the club was sold in 1989. Spedo’s transition into civilian law enforcement began in Everett after his Marine Corps discharge. Wondering what to do next, his father said, “Go see Walgren.” (Mon Walgren was governor at the time and had been a jewelry store owner and shoe shine customer in Everett.) This contact landed Spedo a job on the Washington State Patrol in 1946 in Tacoma where he stayed with Greek family friends. 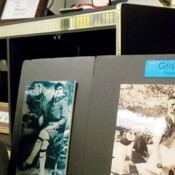 When transferred to Hoquiam, he again stayed with Greek friends until he found his own place. Then, when transferred to Bellingham, he again contacted Greek friends as was his pattern. Those friends just happened to be the parents of Anna Lallas, his wife since 1947. Spedo remained with the State Patrol until March of 1951 and had hoped to open a tavern to make more money. However he was asked by the Bellingham Chief of Police to apply for a position as a policeman. He applied, took the required examination and was hired on January 1, 1952. While in the police department he served as motorcycle officer, sergeant in the traffic department, juvenile officer, Deputy Chief and Deputy Coroner. Spedo retired on May 19, 1976. While on the Bellingham beat, Spedo raised his family and made his greatest contribution to the community – both with Greek residents and others. He uses his Greek language frequently at St. Sophia Church and when encountering and assisting Greek families in the area. 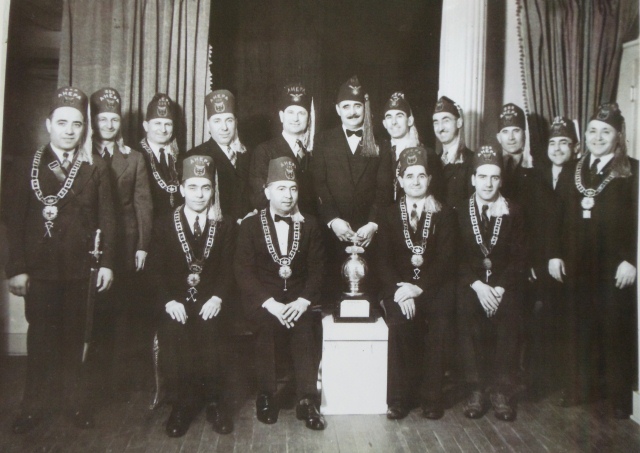 He remembers coordinating two AHEPA (American Hellenic Educational Progressive Association) conventions in Bellingham and shares the photo (above) dating back to the glory days of AHEPA in Bellingham. His law enforcement position and knowledge of Greeks in the community have provided some colorful stories in the video segments below. 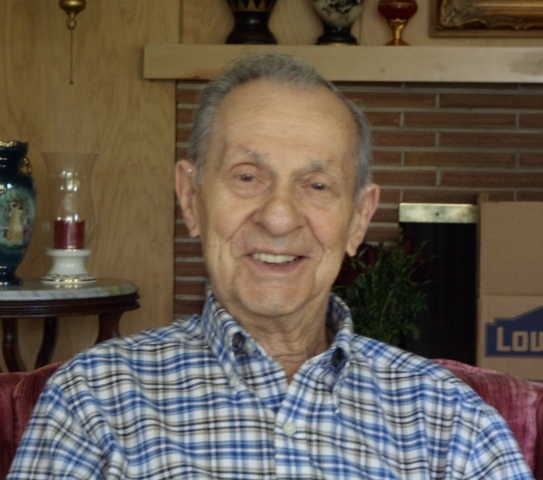 When asked how he wishes to be remembered, Spedo’s humor, optimism and selflessness show when he says, “I don’t care if they remember me or not.” This is testament to his years of giving to others without expecting anything in return.